In January, the GTU welcomed renowned professor Dr. Rita Sherma as Director of Hindu Studies, as part of the launch of its highly anticipated Hindu Studies Initiative. The GTU now offers a Master of Arts degree with a concentration in Hindu Studies as well as a Certificate in Hindu Studies. These new Hindu Studies programs can be taken independently or in combination with any degree program at the GTU. The application deadline for all MA programs has been extended to July 1, 2015. The GTU Hindu Studies program will focus on Hindu philosophy of religion, theology, art, and sacred texts; Hinduism and world engagement in consideration of its historical and cultural contexts; and the interrelationships of Hinduism with other Indic Dharma faiths—particularly Jainism and Indian Buddhism. In accordance with the interreligious environment of the GTU, the Hindu ethos will be studied in dialogue with other religious traditions, in an effort to deepen understanding and relationships among cultures and faiths while also honoring the distinctiveness of each. With this new degree option, the GTU becomes one of the first master’s degree programs in North America with a clear focus on Hindu Philosophy of Religion and Theology (which integrates art and music), as well as Hinduism engaged in global issues. Before joining the GTU as Associate Professor of Dharma Studies and Director of Hindu Studies, Dr. Sherma served for the past two years as the Swami Vivekananda Visiting Professor in Hindu Studies at the University of Southern California. In addition to publishing five edited volumes, she spearheaded the effort to establish the Hinduism program unit of the American Academy of Religion (AAR), is editor-in-chief of the International Journal of Dharma Studies by Springer, and is cofounder of the Dharma Academy of North America (DANAM) which holds its annual meetings in conjunction with AAR. Studying the Hindu world is an adventure. Encyclopedic in its breadth and scope, it is a fascinating area of study for those who are interested in narrative literature. The longest epic poem ever written (the Mahabharata) is a central text, and the Hindu ethos is rich in compilations of stories where history meets legend to transmit ideals and values. It also possesses a vast range of art, which functions iconographically to present theological principles at a glance. Captivating forms of Hindu sacred dance are not only modes of worship but also meditation in motion and theological transmission through performance. For those interested in Yoga philosophy, psychology, and praxis, Hindu Studies is a good place to trace the deep and diverse roots of this ancient tradition. At the core of Hindu life is the quest for an intense and personal relationship with the Divine – variously interpreted as communion or union – and meditation is the vehicle for the journey. As such, diverse contemplative practices are available as different methods are suited to different temperaments; it is analogous to contemporary “personal diagnostics” but for spiritual health. Of interest to many is how these contemplative practices lead to a strong ethical framework rooted in non-harming (ahimsa) that has been applied to every area of life. All this and more will be explored under the rubric of the new Hindu Studies program at the GTU. Many Hindus are uncomfortable with the word religion, and particularly the “ism” attached to Hindu which, some historians maintain, has its roots in the “SaptaSindhu” or seven rivers. “Hindu” was first used a millennia ago by the Persian neighbors to the north of India. Hindus often prefer terms other than religion to define this variegated tradition, including HinduDharma,civilization, or worldview. One reason for this discontent with the word religion is that it leaves out the transdisciplinary nature of the Hindu experience. 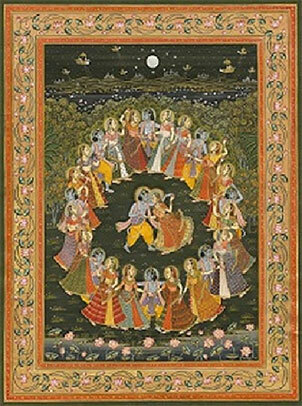 In the Hindu world, scripture and empiricism are not at odds; in fact, art, aesthetics, architecture, design, drama, poetry, astronomy, Hindu traditional medicine, the science of consciousness, linguistics, psychology of emotions, and much more were and are integrated in a pattern that makes it difficult to tease apart the secular from the sacred. The program will offer study and research opportunities in various areas of academic focus in Hindu Studies, with particular emphases on Hindu Theology, Indian Philosophy and Ethics, Classical and Modern Hindu Literature, Hindu Arts and Aesthetic Culture, Mahadevi (Divine Feminine) Traditions, Hindu Diaspora Studies, Yoga Studies, Hindu Thought and Ecology/Sustainability. There will also be opportunities for study and research in India. Alan Kelchner is the GTU’s Vice President for Advancement; a longer version of this article appeared in the Spring 2015 Currents.